SNEAK PREVIEW of BAD RAP, The Truth About PIT BULLS!! I apologize for the fact that the publishing of my book is taking longer than I had realized it would. My publishing company, Book Whirl has my manuscript and is working on the layout as I write this. I so hope that no one will lose enthusiasm and will continue to watch for the release of BAD RAP, The Truth About the Tragically Misunderstood Pit Bull! 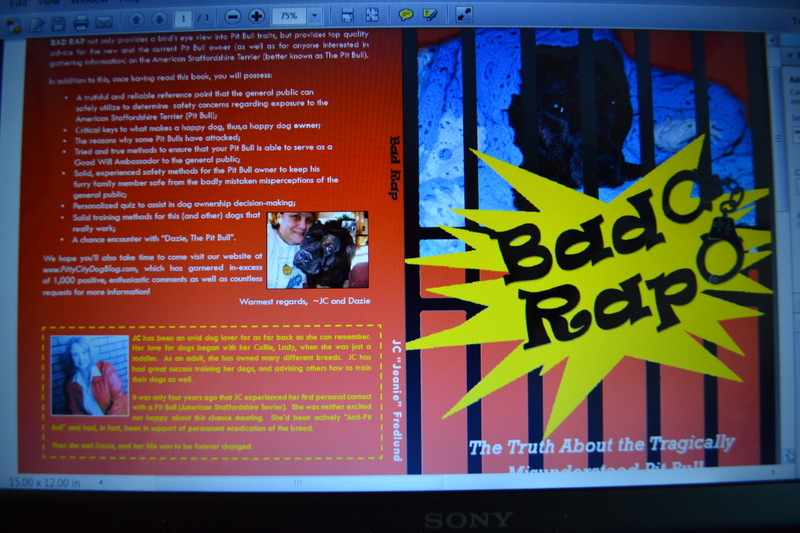 This entry was posted in BAD RAP, New Book BAD RAP, Pit Bulls and tagged BAD RAP, New Book BAD RAP. Bookmark the permalink.